Magnificent debut release from new Danish trio Northern Portrait who are ready to take the world by storm with one of the strongest singles released by Matinée to date! The release has all the makings of a modern pop classic and, according to somebody in the know, will “shake the indiepop world to its very foundations.” The band lists indie legends The Smiths, Echo and the Bunnymen, and The Housemartins among its influences and they certainly should appeal to fans of these and other classic pop groups plus contemporary favorites like Math and Physics Club too. Lead track ‘Crazy’ is the one that got the band noticed when it appeared on a newly-christened Myspace page late last summer. Written and recorded in a four-hour time frame which marked the beginning of Northern Portrait, the song was completed intuitively with absolutely nothing prepared until guitars plugged in. A mix of acoustic and electric Rickenbackers, the guitars jangle in all the right places recalling Smiths classics like ‘This Charming Man’, and the vocals fit the music perfectly. It’s a hit! ‘A Quiet Night In Copenhagen’ is the first of three additional tracks on the EP and sets the bar pretty high with more jangling guitars, nice tempo changes and other instrumentation. Short and to the point, the song is a fairly universal tale of a kind of voluntary outsiderism. ‘Waiting For A Chance’ is a bit slower and recalls the brightness of The Trash Can Sinatras or The Sundays if they had a male singer. The song features more of the characteristic Northern Portrait guitar sounds plus some nice keyboards. Final track ‘The Fallen Aristocracy’ is an ode to all romantics—bittersweet, but definitely more sweet than bitter. Using glockenspiel in addition to guitars, the song bounces along nicely and just might make the case of saving the strongest track for last. 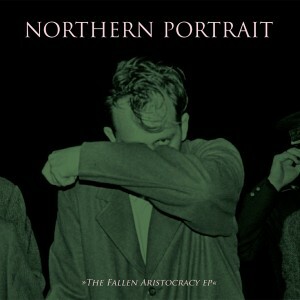 This debut demonstrates amazing promise for a new band and leads one to wonder if the b-sides are this good just what does Northern Portrait have in store for its debut album?